Oklahoma cuts public school funding by $47 million AP: Some Oklahoma school districts could be forced to close their doors as a result of about $47 million in funding cuts due to the state&apos;s budget crisis, Superintendent Joy Hofmeister said Thursday…. Calif. Budget Plan Boosts Spending but Democrats Seek More AP: The plan calls for significant increases in funding for education, health care and state infrastructure, while bolstering the state’s Rainy Day Fund and paying down state debts and liabilities. In addition, per-pupil spending would increase to $10,591. Schools are guaranteed about 40 percent of general fund revenues under voter-approved Proposition 98. See also SI&A Cabinet Report. Chicago Teachers Union calls for Emanuel, Alvarez to resign Chicago Tribune: The union said its House of Delegates “voted overwhelmingly” last week to support efforts aimed at getting Emanuel and Alvarez to resign. CTU President Karen Lewis will talk about the issue at the union’s annual Rev. Martin Luther King Jr. Peace Breakfast on Jan. 15, the union said. Maryland Near Top Of Education Rankings, But Do Grades Mask Poverty Gap? 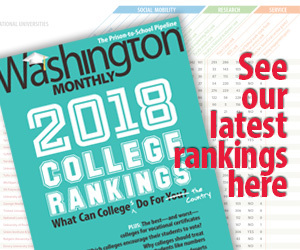 WAMU: Education Week put our their annual “Quality Counts” report this week, grading states on their efforts to improve public education. But researchers caution that rising tides do not raise all boats. New High School Equivalency Exam Demands More of Teachers WNYC: It’s now called the TASC, rather than the G.E.D. And it’s aligned with the Common Core learning standards, meaning it’s harder to pass. But the teachers at CASES said the more rigorous standards were making them better at their jobs. And many students, too, were responding well to the extra demands. Maine Common Core foes cross party lines to push repeal New Boston Post: The measure he submitted last month differs from the bill that failed last year in two ways, Tuell said. It would let local jurisdictions keep Common Core or revert to Maine’s former state standards, and it would create a stakeholder group to formulate new state standards. St. George’s School Agrees to Inquiry Into Sexual Abuse NYT: The Rhode Island school said it would commission a third party to investigate reports spanning several decades of abuse of students.